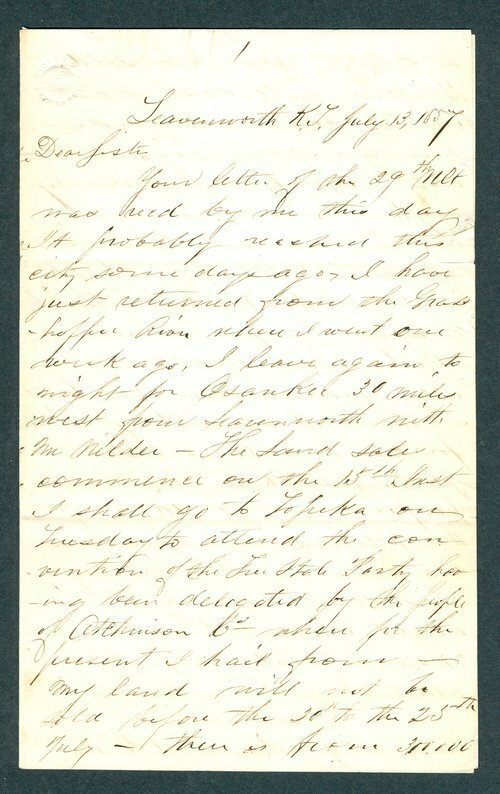 This letter is from Daniel Read Anthony, Sr. to his sister discussing his plans to attend the convention of the Free State Party in Topeka as a delegate of the people of Atchison County. Anthony also mentions D. W. Wilder is a member of his traveling party. The Topeka convention served as the Free State response to the proslavery territorial legislature that many believed was illegally elected by fraudulent voters. One of his sisters was Susan B. Anthony but it is not clear if that is the sister to whom he is writing.